People's stories are among the most valuable resources that the National Park Service preserves and protects for future generations. Oral history interviews help National Park Service rangers document the history of park sites and interpret them for visitors. NPS photo. 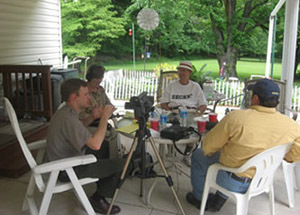 Students in the 2012 "Effective Oral History" course interview Michael Watson, former superintendent, at Mather Training Center in Harpers Ferry, WV. NPS photo. 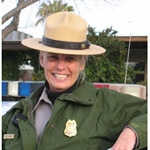 record the history of individual parks and Park Service personnel. Since 2013, the Association of National Park Rangers has partnered with the Park History Program to conduct a Centennial-inspired oral history project. Read how veteran Park Service personnel learned their jobs, built careers, put policies into practice, and combined work and family life. You can also listen to the Centennial Voices series on our Soundcloud Page. 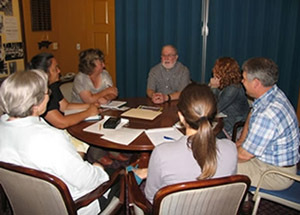 Have questions about oral history or need help planning a project? Contact Lu Ann Jones, staff historian, Park History Program, at luann_jones@nps.gov or 202-354-2219.